With its dazzling peaks and deep valleys, the vast ski area of the Portes du Soleil is a magnet for mountain adventurers. With 650 km of marked runs and 212 interconnected lifts, it’s a snow playground where everyone from families and beginners to the most advanced skiers can realise their Alpine dreams. The diversity of experiences is stunning – from gentle, tree-lined slopes to large open bowls, exhilarating black runs and fun snowparks. As the largest village in the Portes du Soleil, and pivotal in the lift system, the Morzine ski resort (altitude 1000 metres) is the perfect base for your ski holiday. Hop on the Pleney cable car in the centre of town to get to the nursery slope and restaurant at the top. From here, a choice of picturesque, tree-lined blue and red runs will take you back to town when you’re ready, but there is a whole world of skiing to explore further back in the Ranfolly bowl. Les Gets, accessable by the Belvedere chair lift is a favourite of families, with a free beginners zone in the Chavannes. Here six reds, four blues and a black run all converge on a central point, so mixed ability groups can easily meet up for lunch. 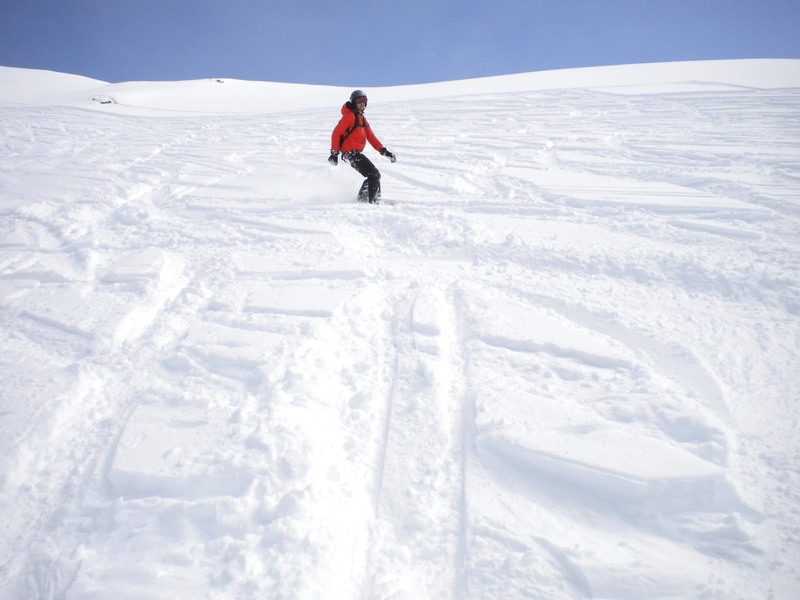 Climbing higher by cabin lift, Mont Chery offers great powder spots and awesome panoramic views. Pleney – Mostly easy blues and greens including the nursery slopes. Most group lessons start and finish here. A great place to learn to ski but don’t overlook some of the quiet reds under the telecabine. Nyon – This area is often missed, quiet little corner of the ski area with some fantastic runs through the forest and great views from the Pointe de Nyon itself. Great area for families and there’s always the long and challenging Chamossiere red run for the more adventurous. La Rosta – Heading towards Les Gets the Rosta lift sits in a great little bowl with two long challenging reds, the black ‘Yeti’ run and a host of laid back blues. Don’t miss La Paika restaurant for a fantastic BBQ style lunch. Les Gets/Chavannes – Our favourite lift in the Portes du Soleil! Very easy blues, restaurants in the sun and some of the best hot chocolates we’ve ever tasted. On the down side it’s so good and on top of Les Gets that it does get busy! Mont Chery – Well worth a visit at least once during the week to experience the jaw dropping panoramic views. From your Morzine base, you are sure to spend some time in the award-winning Avoriaz ski resort. It sits 600metres above Morzine on the cliffs above the valley Ardoisieres and boasts a superb snow record of eight metres per season. You can access Avoriaz skiing via the Super Morzine Bubble, the high-speed Linderets Express and the Prodian 3S. Intermediate skiers and above will relish the 250km of red and blue runs, and for thrill-seekers, there’s the notorious Swiss Wall as well as more steep, fast black runs from the Hauts Forts. The wide, gentle blue run of Procolou just below Avoriaz is a great spot for beginners and children to find their ski legs. Meanwhile boarders can get their kicks at five snowparks including two half-pipes and the Stash – a giant eco-park set in the Lindarets Forest. Super Morzine Area – Taking the Super Morzine Telecabine out of the village takes you towards Avoriaz and most people carry on and miss out on some fantastic quiet, wide open blue runs right under their noses. A great beginners area, quiet and right next to Morzine. Snow Cross Areas – There are a four areas dotted around the Portes du Soleil marked as ‘SnowCross’. These ungroomed slopes offer skiers and boarders all the sensations of free powder skiing, but in perfect safety. Not as steep or challenging as an un-pisted black run and great fun for all the family. Les Lindarets – Just down from Avoriaz at the bottom of The Stash, Les Lindarets is a well defined bowl that’s acts as a natural meeting point with plenty of restaurants. including one of our favourites La Cremaillere. A great area to base yourself for a day skiing into Avoriaz, Chatel and Switzerland. Chatel and Linga – Fantastic area above Les Lindarets away from Avoriaz, a large plateau at higher altitude with some much more challenging reds and blacks and a myriad of relatively safe and easy to find off piste. Mossett and Croset – Point de Mossette is the highest point on the Portes du Soleil and leads down to Croset in Switzerland, home to the famous Swiss Wall’ one of the hardest marked ski runs in the world. The rest of the skiing is much more sedate and it can be quieter than other areas. Everything else – It’s much too large an area to cover everything here. We’ve been here eleven years and we’re still discovering hidden gems. Take your piste map and go exploring! Beyond Avoriaz and Morzine skiing, the whole of the Portes du Soleil is waiting to be discovered from your luxury Mountain Spaces chalet. You can connect to the Portes du Soleil loop that will take you through seven resorts, crossing into Switzerland and back. Or go off-piste in many expansive, free-ride areas. The possibilities are endless! When buying your lift pass there are two areas to choose between. The smaller Les Gets and Morzine area or the full Portes du Soleil area including Les Gets and Morzine. The vast majority of our guests opt for the full Portes du Soleil pass. There is a fantastic mix of skiing and boarding for all levels and in a six day ski trip you’ll definitely want to venture further afield than the local slopes. For more information on Lift Passes and this years prices, click here.